The Fish River Island 2 (FRI 2) BSP supports the system on which the FRI2 is based: the Kontron M2M Smart Services Developer Kit. For information on the kit and details about the systems ports and features, see the link for the Kontron Developer Kit. 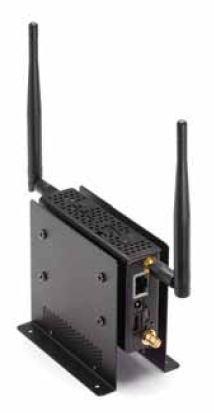 The platform consists of the Intel Atom E640T processor plus the Intel EG20T Platform Controller Hub (Tunnel Creek + Topcliff), along with a variety of communications options and other machine-to-machine (M2M) capabilities. The platform also supports the E6xx embedded on-chip graphics via the Intel Embedded Media and Graphics Driver (EMGD) 1.1.0 Driver. The kit also includes the Intel(r) Embedded Software Development Tool Suite which helps you boost system and application performance, increase code quality, and reliability for your embedded design. Especially note the license manifest, which you can generate yourself using BitBake.